Ethiopian Space Science and Technology Institute (ESSTI) is a newly established institute in Ethiopia to lead Space Science and Technology from end to end research in all space applications, space infrastructure development, satellite development and operation, and international collaboration in Astronomy and Astrophysics, space science and application, satellite technology, Aeronautics and astronautics, earth observation and related space science technologies. Presently, ESSTI is looking for an outstanding candidate with excellent experience and prominent academic, research and technical skills in different fields as mentioned below. Detail requirements listed here under in the table. Acquire grant and execute applied and theoretical Researches;Teaching graduate courses in geodesy and other relevant program; Supervision of graduate theses;Publish research findings in reputable journals;Participate in community service. A PhD in Geodesy, Geodynamics, Geophysics related areas of earth systems sciences. With strong research track and publications in Interferometric Synthetic Aperture Radar. Acquire grant and execute applied and theoretical researches;Teaching graduate courses in geodesy and other relevant program;Supervision of graduate theses;Publish research findings in reputable journals;Participate in community service. Acquire research data using GNSS receivers, optical level, Total station, gravity meter, etc;Compile and process data acquired from different geodetic instruments;Assist senior researchers and graduate students in acquisition of in-situ data;Carry out research under supervision of professors; Tutoring graduate courses in geodesy and other relevant program; Organize and manage geodetic laboratory and scientific instruments;Participate in community service. Acquire grant and execute demand driven applied and theoretical researches;Teaching graduate courses for PhD and MSc program in remote sensing and other relevant program;Supervision of graduate theses;Publish results of research in high quality peer-reviewed international journals;Participate in community services, knowledge and technology transfer programs. A PhD with academic background and research experience in optical remote sensing, photogrammtery & LiDAR Remote sensing, hyperspectral remote sensing, RADAR remote sensing etc. Acquire grant and execute demand driven applied and theoretical researches; Teaching graduate courses for PhD and MSc program in remote sensing and other relevant program; Supervision of graduate theses; Publish results of research in high quality peer-reviewed international journals; Participate in community services, knowledge and technology transfer programs. MSc. degree in Satellite Engineering, Aeronautical engineering, mechanical engineering, mechanical design engineering, Electrical engineering, Aerospace thermal engineering material engineering or related fields engineering/ technologyWith excellent skill and research experience in the above-mentioned fields. Assist senior researchers and graduate students in the development of Aerospace engineering and technology products; Carry out research under supervision of Associate researchers and above; Design, manufacture, assemble, integrate and test aerospace products; Assist researchers in laboratory work, data gathering and other research and teaching activities; Participate in community-service and technology transfer programs. Conduct researches in the design and development of small to medium satellite systems Support to platform subsystems, payload instruments, on-board software management, satellite simulator and ground segment operations. Satellite application systems and interface to terrestrial ground communication networks. Satellite ground station operation, satellite data access, interpretation and analysis. Participate in community services, knowledge and technology transfer programs. 2. All applicants must submit photo copy of all the academic credential documents to ESSTI office within 15 working days (such as all transcripts, Degree Certificate, CV, list of Publications, at list two recommendations from academic supervisor/s/ etc). 5. 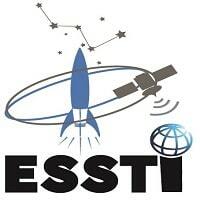 Submit application to Ethiopian Space Science and Technology Institute in person.